Leeds United Midfielder Adam Forshaw (4) during the Pre-Season Friendly match between Southend United and Leeds United at Roots Hall, Southend, England on 22 July 2018. Picture by Stephen Wright. Adam Forshaw was the obvious choice to play in the deep midfield role this season. It was the one position that we could predict, and if a player was dropped into a back three then he would be the one. He’s far from that, he’s now playing as a link that sees him all over the pitch, with Kalvin Phillips excelling in the deep role. When Forshaw arrived from Middlesbrough in January there was a lot of people questioning the fee that was paid. Around $3.5 million in total which was our biggest fee for a player since being relegated from the Premier League. Forshaw was massively unlucky with injury and the fact he was playing in a side that had been drained of life by Thomas Christiansen and his stubbornness. He then had to work under Paul Heckingbottom who didn’t seem to catch the imagination of the labouring squad at all and underwhelmed the bigger names even if he did regenerate some of the pathway between the youth team and the first-team. Injuries didn’t help and he struggled to make an impression despite playing well in almost every game he did play. Rolling into the summer it was perfect for him. Bielsa fancied him ahead of Klich and Vieira and he was set to start the season in a key role, what I would now call the “Klich role”. That says it all, after a bad injury he was replaced by Klich and the polish international (again) has had a stormer of a season so far, the second most assists in the league, the second top scorer behind Kemar Roofe at the club on five and without doubt the most impressive player in the squad. Forshaw would eventually replace Samu Saiz which was a long-shot for a variety of reasons. Easily the most talented player in the squad but someone who really does dip out of form in dramatic fashion all of a sudden. 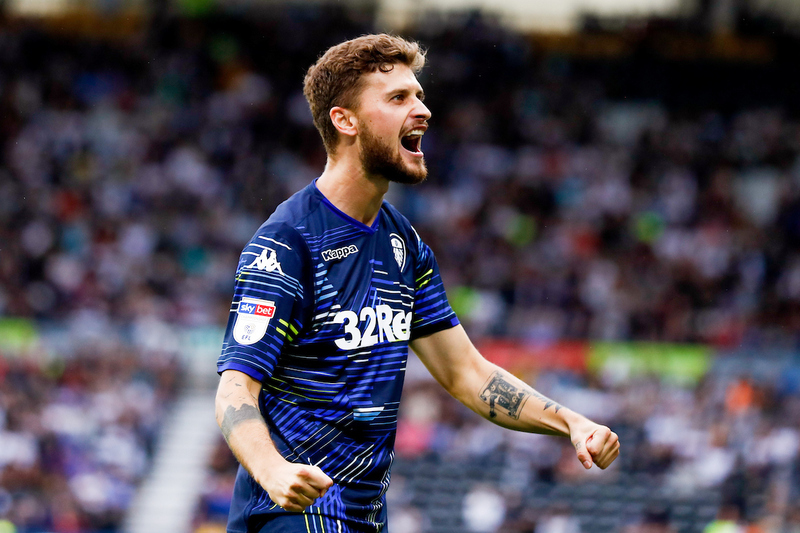 Klich is playing that well and adapting to everything he’s being told that he has slotted into the advanced midfield role to replace Saiz and looks even more dangerous than we thought. Forshaw now has to link the midfield and defence and he looks a natural at it. The next thing is for him to start chipping in with goals and assists. A promising return for the midfielder.